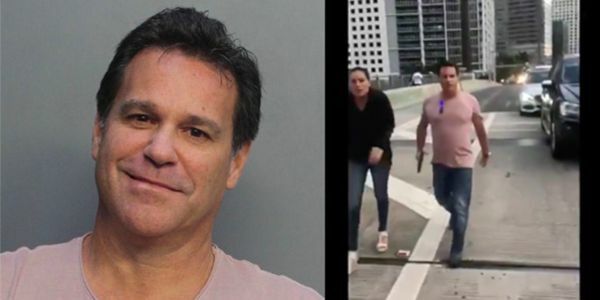 Police have arrested Mark Allen Bartlett after a viral video emerged that appeared to show him and his girlfriend in a heated confrontation with who were bicyclists taking part in the "Bikes Up, Guns Down" protest in Miami, Florida on Martin Luther King, Jr. Day. The cellphone video was taken on a bridge by a member of the Dream Defenders activist group in Miami's Brickell district, on Monday afternoon. Mark Allen Bartlett ran up to the group of kids while holding a gun, yelling, "Get the [expletive] out of here, you [expletive] piece of [expletive]." Bartlett called one of the riders "You [expletive] losers." As Bartlett walked away, he can be heard on the video calling the children the N-word three times. His use of racist comments, especially on MLK Day, and threatening others with a gun shall not be tolerated. Sign the petition to hold this man accountable!